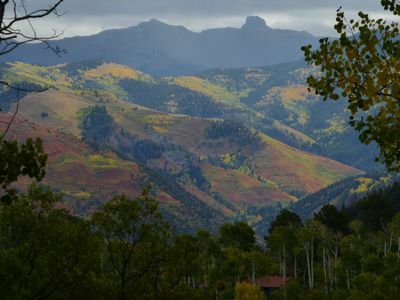 A charming mountain town with much to offer, Ouray invites you to experience the best of southwest Colorado. 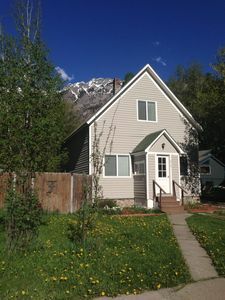 Located on the same block as Main Street, this 2-bed, 2-bath vacation rental is the perfect starting point for all your Rocky Mountain adventures. 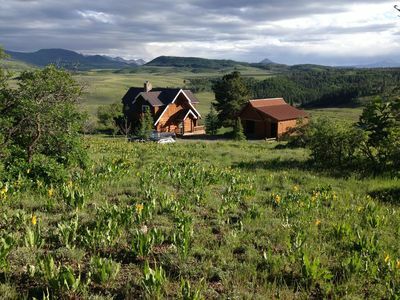 Soak in the Hot Springs down the road, hike around Box Canyon Falls Park, tour the surrounding ghost towns and visit Telluride an hour away. 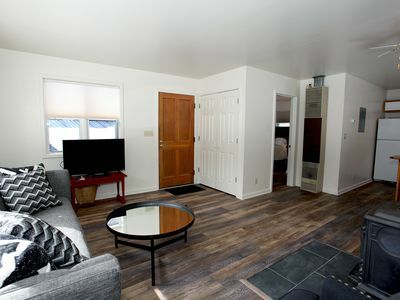 When you’re ready to relax, enjoy the condo’s private patio or well-appointed living space fit for 6! 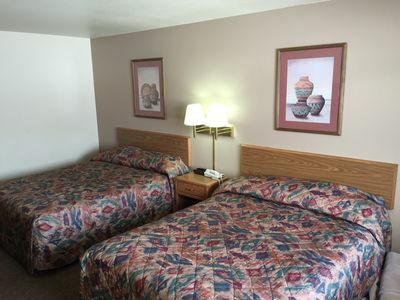 A good night’s sleep is guaranteed in both bedrooms, each offering a comfortable queen-sized bed. 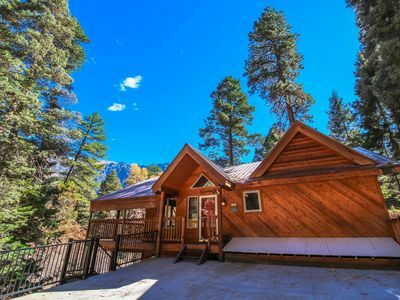 Early risers staying in the master bedroom will love starting the morning off on their private balcony overlooking the tree-lined community. 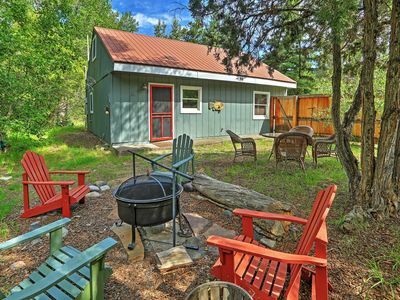 Fuel up for your hike with a hearty homemade breakfast prepared in the well-equipped kitchen. 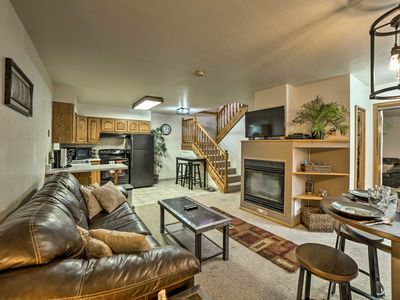 If you’d rather dine out, the abundant cafes and eateries of Main Street are only a half-block away! 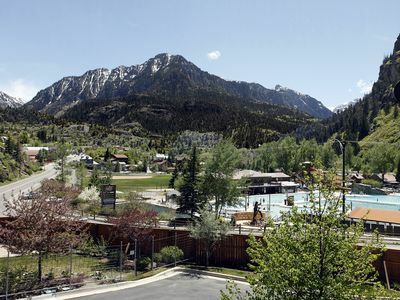 After a long afternoon on the trails, stop by the Ouray Hot Springs, only half a mile from the condo, or head straight home to decompress in front of the flat-screen cable TV. 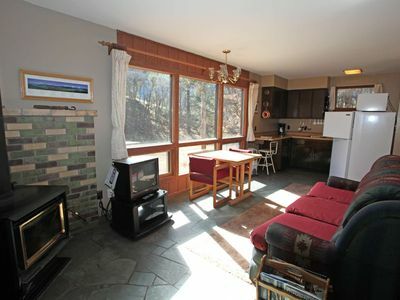 In the winter months, cozy up in front of the gas fireplace to warm cold toes! 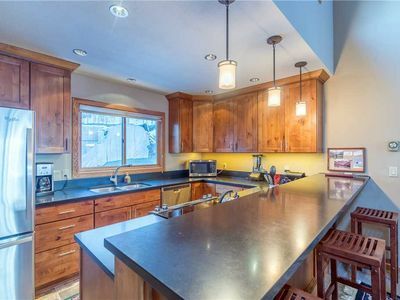 Enjoy a late night snack at the kitchen table set for 2 or the high-top table set for 4. 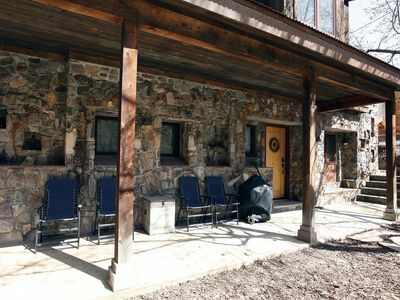 If you’re still not quite ready to call it a night, head out to the patio for storytelling and stargazing. 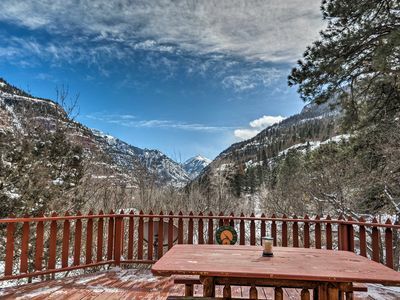 Gather your gear and head to this Ouray vacation rental condo, suited for all types of outdoor enthusiasts and adventure seekers. 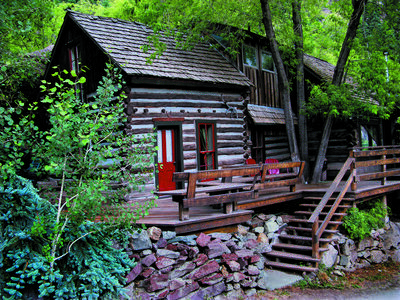 Hike to the top of the waterfall in Box Canyon Falls Park, experience the thrill of touring a ghost town and visit an old mining site - all within 5 miles or less of the property. 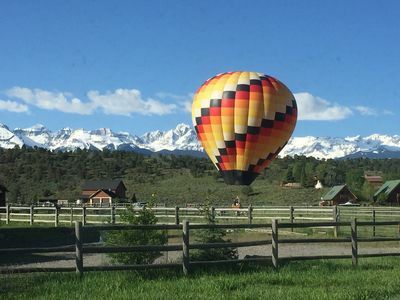 Even more opportunities await in Telluride, about an hour from your home-away-from-home. 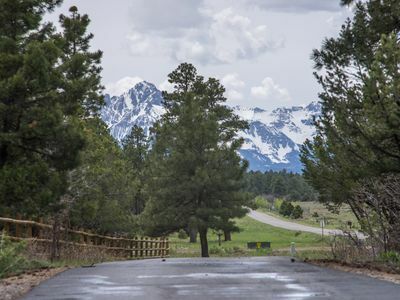 The town offers activities for all 4 seasons, including skiing, sledding, golfing, hiking, fly fishing, off-roading, rock climbing and so much more. 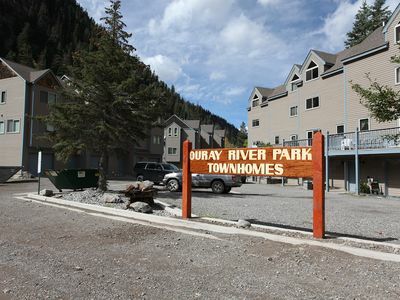 Take a rest day and explore the charming town of Ouray. 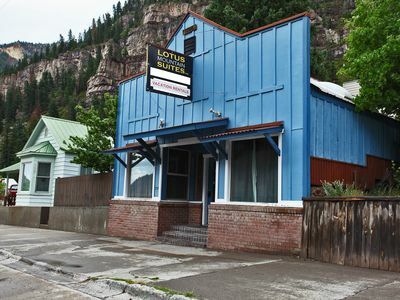 Walk up the block to Main Street to discover local shops and restaurants, or continue all the way up the road for an afternoon at the popular Ouray Hot Springs. 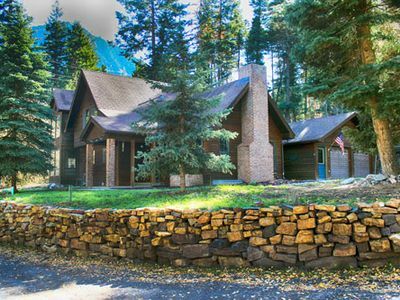 Large Quiet Mountain Home Close to Ouray. 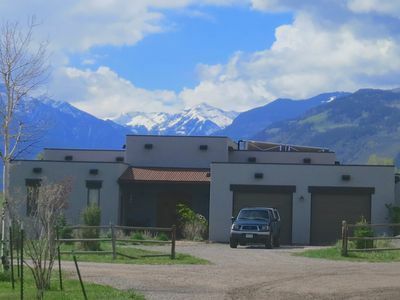 RIDGWAY'S FINEST: Mountain views, backs to open space, open floor plan, in town! 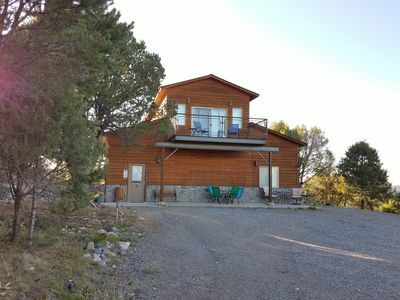 Home w/ San Juan Mountain Views-2 miles to Ouray!